Woman with red-painted fingernails puts smoldering cigarette in ashtray. The wind blows the ash in the ashtray. hd00:08Smoldering cigarette in ashtray.Woman with red-painted fingernails ash her cigarette. 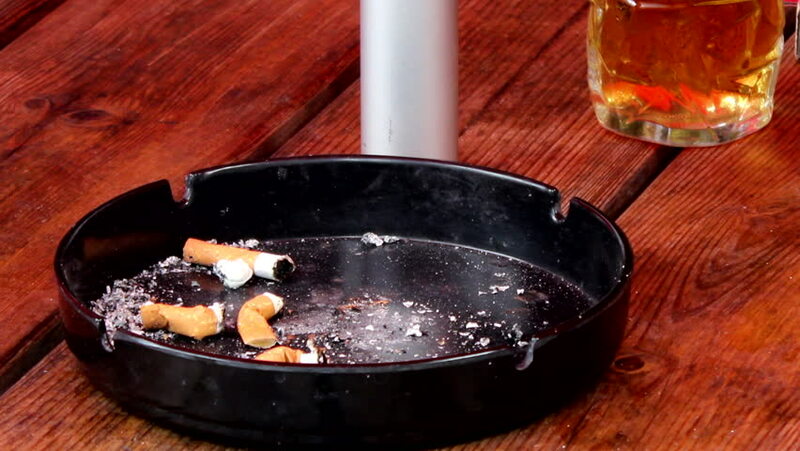 hd00:09Ashtray with cigarette butts and a pint of fizzy beer in the background. hd00:13Smoldering cigarette in ashtray. Woman with red-painted fingernails ash her cigarette. hd00:09Woman's hand with red-painted fingernails puts a smoldering cigarette in ashtray.